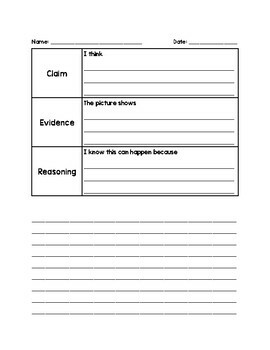 Included in your purchase are two writing frames for Claim, Evidence, Reasoning activities. One is for picture prompts, the other is for text prompts. 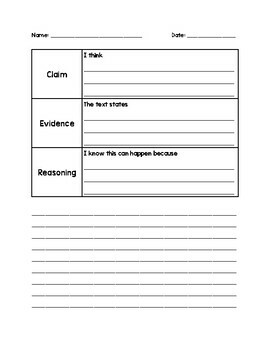 At the top of the model, students use the sentence stems to answer each part of the CER. Then at the bottom, they write a paragraph using the sentence stems and their responses to create a full paragraph and give them practice in using the sentence stems in their writing. 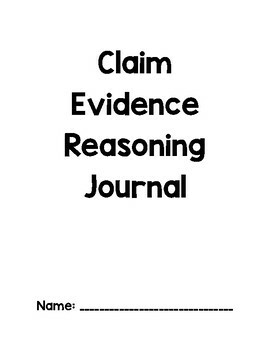 Also included is a cover page if you decide to make CER Writing Journals for your students.